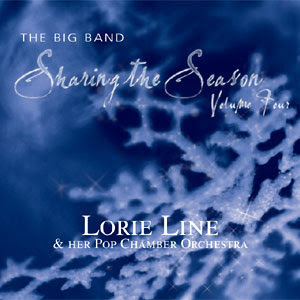 I thought this might be a good time to talk about Christmas music, which keeps me company as I organize and sew. We have XM radio, which has its own holiday music channels, but if you listen for any extended period of time, you realize their play lists are really short. And we have 51 Christmas CDs (yep, counted them...). First I thought I would do a David Letterman-type top-10 list, but then I realized the music you feel like listening to is so subjective--it totally depends on your mood. So, in completely random order, here are my top picks. Wait a sec. I'm going to disagree with that statement about completely random order, because if I had to pick only one CD, this would be it. 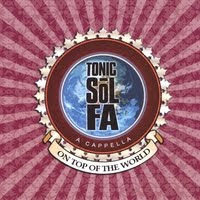 Mark discovered Tonic Sol-Fa on a PBS special two years ago. Four guys from Minnesota, singing totally acapella. Amazing! There is a little bit of everything here, from the Grinch to Let There Be Peace on Earth. Bonus points: we saw them in Minnesota this summer and they did not disappoint. 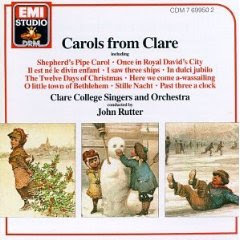 A couple of years ago I discovered music from Clare College (on XM radio actually). 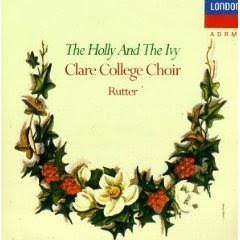 These CDs are from 1967 and 1979, but the music is timeless and the arrangements are exquisite. 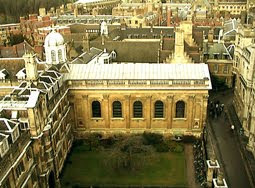 The college is located in Cambridge and how could you expect anything but beautiful music with buildings that look like these? I imagine high ceilings in a historic cathedral with flickering candlelight. 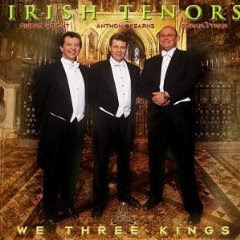 We have enjoyed this CD for twenty years and it is still one of our favorites. 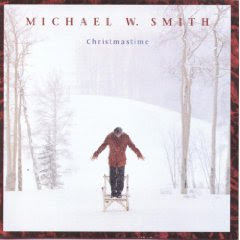 A couple years later Michael W. Smith recorded this one, and my favorite cut is the very last one, a medley of I Saw Three Ships and Joy to the World, in a celtic arrangement that never fails to spread the Christmas spirit. 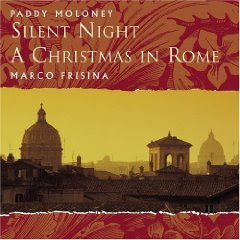 Mark is also the one who discovered the Chieftains (Paddy Moloney is part of the Chieftains) on a PBS special. About ten years ago we were snowbound in St. Paul and they were singing at Concert Hall in Minneapolis. We took a very "interesting" taxi ride in a snow storm to Concert Hall and heard them live. It turned out to be one of my most favorite days. Ever. I have always loved the brass section of the orchestra, or any musical group for that matter. Chicago, Tower of Power. Gotta love all the brass. 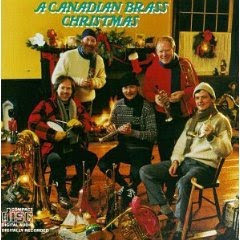 So of course the Canadian Brass always gets a lot of play time. What is there to say about this one? 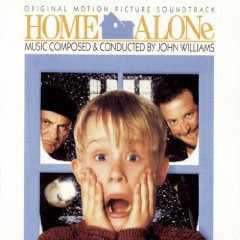 It is a classic soundtrack and holiday movie. And John Williams is my pick for musical genius. 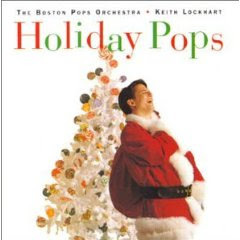 Before Keith Lockhart was the conductor for the Boston Pops Orchestra, they were under the direction of John Williams. But conductors aside, the Boston Pops Orchestra is one of my favorites. We have a lot of their CDs and someday, we will be sitting on the lawn in Boston on the 4th of July and enjoying their music live. 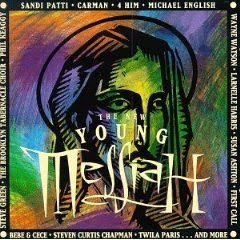 I don't think any Christmas season would be complete without some version of Handel's Messiah. This is my favorite, definitely not your classical orchestra version. Yes, I jumped on the Taylor Swift bandwagon. This is only new purchase of 2009. So that's it. My top holiday music recommendations. If your tastes run to instrumental, particularly piano, definitely check these out. Mark discovered Mary Beth Carlson playing in Nordstroms at the Mall of America (the same weekend we saw the Chieftains). And Lorie Line also got her start playing at Dayton's in Minneapolis. Are you noticing a trend here? Minnesota--great music! And it surely has caught your attention that much of this great music was discovered by my very own Minnesota guy, Mark. And the excellent artists who didn't make it to the very tippy top of my list but I still really enjoy listening to are Il Divo (The Christmas Collection), James Taylor (at Christmas), Roger Whittaker (Happy Holidays) and Josh Groban (Noel). If you want something really, ahem, off the wall... you can add this to your collection. 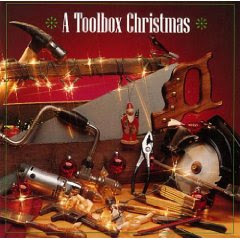 Yep, all the music is made by power tools. 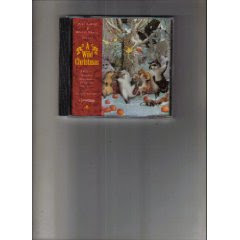 We also own A Wild Christmas, composed entirely of animal sounds. Yeah, I haven't listened to either of those in years. Probably not since the first time I heard them... but it's nice to know we have them in case that musical mood ever hits. Yikes. And don't consider me the Grinch because I didn't include Mannheim Steamroller. We have all of them but I have heard them enough on the radio. So what about you? Which holiday music lights up your Christmas? I love Snapware products. 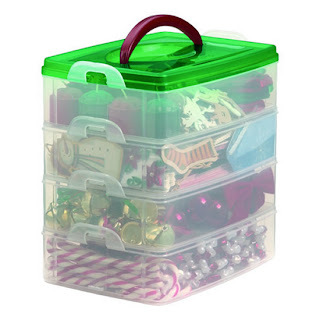 They are one of the best organizational & storage products I've ever come across. I love how you can use just a section, or stack multiple units, for home or taking to a sew-cial/workshop. Very durable. And a great value for the $$$$. Love, love, love Snapware products. But actually, I haven't played any of my own CD's yet. There's so much Christmas music on the radio that I haven't bothered. I'm a big fan of the Motown Christmas CD. Hard to beat the Jackson 5 singing Christmas songs. I recently heard a Billy Gilman Christmas album that I liked a lot! Did not know you were a fan of TOP. How did I not know that? Amy Grant's "Home for Christmas" is my all-time favorite. 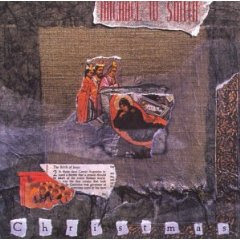 But the best off-the-wall Christmas album ever is "It's a Cow Christmas." I used to have it on tape and would love to have it on CD, but I'm just not willing to pay the $25 asking price. But it's SO funny!